One of the takeaways from the Call of Duty: Black Ops 4 community reveal events last week was that it would ship with a Battle Royale mode called Blackout. 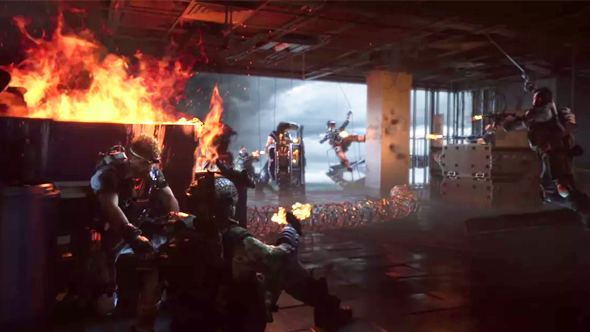 The new mode wasn’t on show but the reveal video was littered with details – it would feature characters, weapons, and scenery from all the old Black Ops games. The most alluring throwaway aline, however is that the Blackout map will be 1,500 times the size of Nuketown. The question is: just how big is that? 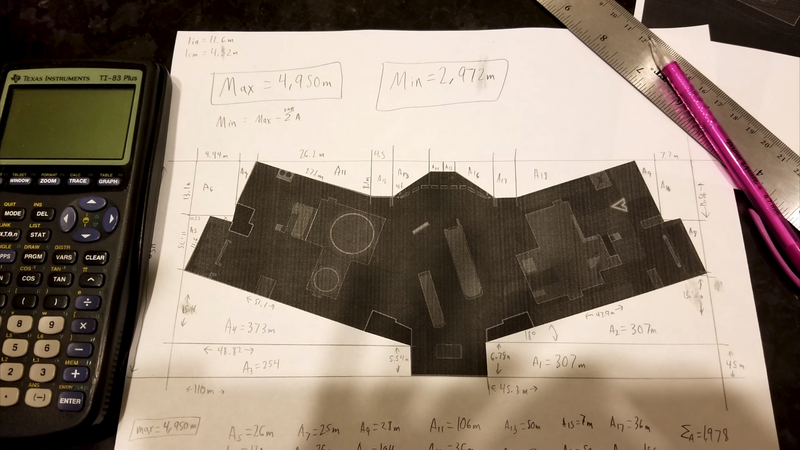 Since the announcement people have been trying to determine scale in games that feature Nuketown, estimating the size of the bus in the centre of the map and then using that to generate a scale that can be applied to the map and then multiplying out the area. It involves a lot of guesswork, though. While you wait for Black Ops 4, here are the best shooters on PC. Youtuber Drift0r has taken a much more analytical approach which he has documented in the video below. Using Nuketown in Black Ops 3 (arguing that the most recent version of the map is the most accurate comparison to draw from). Driftor used weapon range to calculate the size of the map. “I know that the Razorback will deal 30 damage up to 90 metres, less than that it will deal 29.” He then loads up a game where health is set to 30 and then has someone stand the minimum distance away to get a one-shot kill on them. With that he then generates an area grid to determine the size of the map. Image credit: Driftor / source: Youtube. With all that worked out, Drift0r worked out two areas of Nuketown, the actual play space and the full area of the map, including out of bounds areas. The minimum area of Blackout, so 1,500 times the size of Nuketown’s play space, came to 4.5km2, and the maximum space, 1,500 times the level space was 7.4km2. In either case, that’s significantly larger than anything else available in Call of Duty multiplayer. It’s around the same size of Fortnite’s 5.5km2 but much smaller than PUBG’s 64km2.